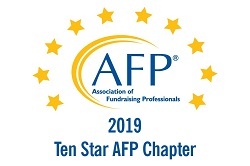 The Okanagan Chapter of the Association of Fundraising Professionals (AFP) serves to advance philanthropy by enabling people and organizations to practice effective and ethical fundraising. 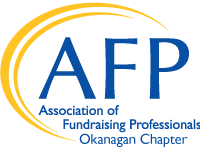 AFP Okanagan is your link to professional networking, roundtable sessions, educational programs and mentorship for all levels of fundraising. We also host an annual National Philanthropy Day Luncheon to celebrate philanthropy and the positive impact giving, volunteering and charitable engagement has in the Okanagan. Contact us at afpokangan@gmail.com to learn more and get involved! 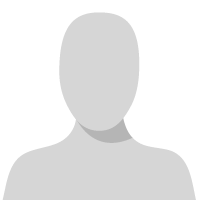 Please check out our offerings and get to know your local AFP members. If you're not a member, join today and be connected! AFP Okanagan acknowledges that the land on which we gather is the unceded ancestral lands of the Westbank First Nation of the Syilx/Okanagan Peoples.